This year marks the 10 year anniversary of the best and most consistent solo Spice Girl album to date: Emma Bunton‘s Free Me. While it’s safe to say none of Ginger, Sporty, Scary, Baby or Posh’s albums will ever alter the course of music history like that of their collective endeavours, there is still something special about Emma’s second album that keeps me coming back. Free Me arrived just a few sleeps before Valentine’s Day in 2004 but love wasn’t particularly in the air for solo Spice Girls records anymore. This entry was posted in #ThrowbackThursday, Album Review and tagged Emma Bunton, Geri Halliwell, Mel B, Melanie C, Mike Peden, Simon Ellis, Simon Fuller, Spice Girls, Victoria Beckham, Yak Body. Bookmark the permalink. 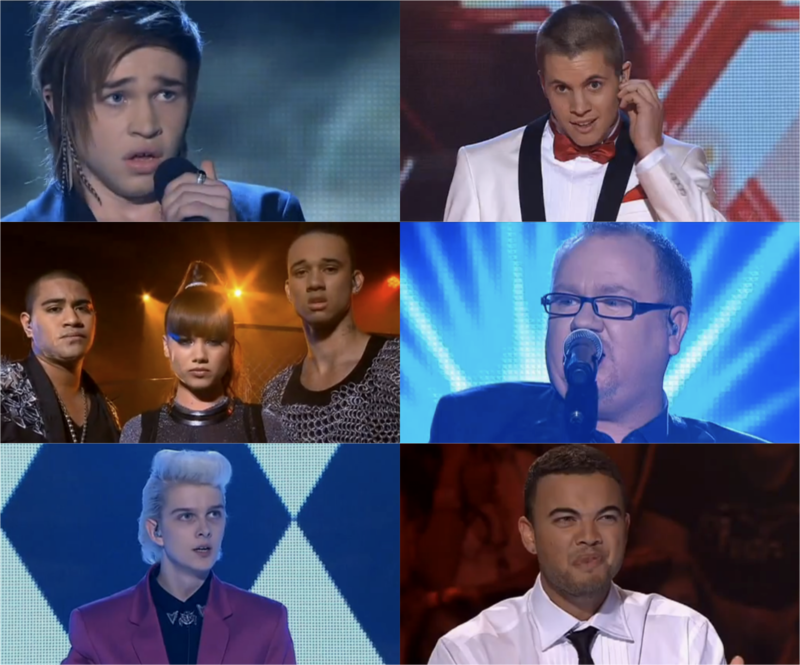 Only three more shows until X Factor Australia has a winner. Can you pick one from the pack already? It’s rather startling that at this stage of the game, Guy Sebastian still hasn’t lost one of this contestants and as a collective, they now make up half of the competition. At this rate, I won’t be surprised if he ends up with two acts in the final three. A feat only two X Factor judges have ever achieved – see: Dannii Minogue circa 2007 on the UK series and Jan Fredrik Carlsen of the 2009 Norwegian franchise. 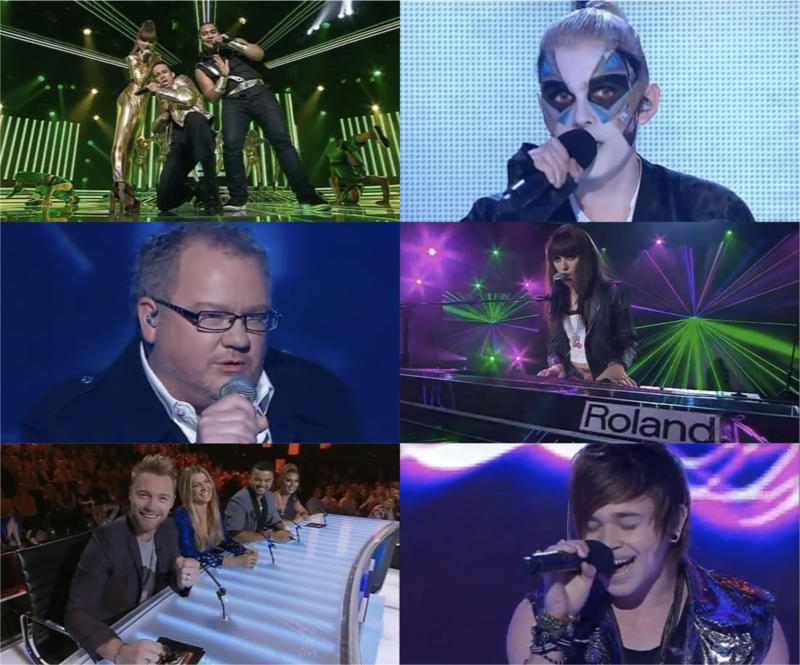 When our Aussie series reached its final six this time last year, we already had our handful of polished contestants. All the performers had found their place by then and were capable of turning out vocally consistent results. I’m not sure if I can say the same about this year’s final six. This show actually feels like a big budget end-of-year concert thrown by a local singing school. There are some A+ vocalists getting unearthed but there are also some developing singers mingled in the line up. Is this really what the X Factor is all about? At what point should our mentors stop pushing some contestants into risky song choices when they’re not vocally equipped to do it, and start actually tailoring songs to enhance whatever talent is already there? This entry was posted in X Factor Australia and tagged Andrew Wishart, Christina Parie, Declan Sykes, Guy Sebastian, Johnny Ruffo, Mel B, Natalie Bassingthwaighte, Reece Mastin, Ronan Keating, Three Wishez, X Factor Australia. Bookmark the permalink. I’m sorry, y’all. There is no X Factor Australia recap this week because I struggled to stay awake through the hour-long beigefest of predictable performances. I’mma go snuggle up to Mama Brown. This entry was posted in X Factor Australia and tagged Andrew Wishart, Christina Parie, Declan Sykes, Guy Sebastian, Johnny Ruffo, Mel B, Mitchell Callaway, Natalie Bassingthwaighte, Reece Mastin, Ronan Keating, Three Wishez, X Factor Australia. Bookmark the permalink. 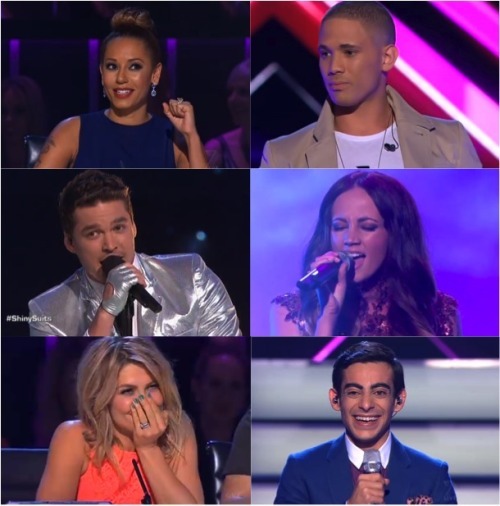 What’s happening to the X Factor Australia ? Not only did everybody get the memo to up their game but a few of them even went on to successfully own their first live show performance. But y’know what? I must’ve been watching something different altogether because two of the strongest performers this week wound up with the least amount of public votes. This week, our final eight took on #1 hits from a variety of genres and eras – covering smashes by Stereophonics, Beyoncé and The Rolling Stones et al. However, the real challenge here wasn’t to see which one of these hopefuls would hit the ground running and entertain us. The whole point of doing a #1 hits show is to sniff out the potential artists from the garden variety karaoke hustlers, right? You want to see somebody putting their stamp on an overplayed and well-familiar hit, and breathe some new life into it. Basically now would be the time to demonstrate some artistic flair – if you’ve got one. At this stage of the competition, you should already be showing the public what kind of records we can expect from you. If you’re a country singer, start actually serving some kind of country realness and stop fooling around with dusty RSL rock. This was basically what Guy Sebastian had to say to Mitchell Callaway, the shy tatted-up teddy who has – as Nat Bass said – been merely “playing the game” every week with whatever MOR/adult contemporary track assigned. The man auditioned with a country song and it was evident what kind of music he prefers to be making, but apart from the first week where he did a country re-write of Rihanna‘s ‘Only Girl In The World’, Mitchell hasn’t stayed true to his artistic inclinations. The guy is not making the best of his time on the X Factor. I don’t think he realises that there folks who spend years gigging in obscurity just so more people can recognise who they are as artists, and he’s got the opportunity to do it in weeks. This week all the key performers I’ve given a nod to deserve props because for the two-or-so minutes they were on stage, they managed to help me realise who they are as future recording artists and not just put up with whatever that’ll get them through week by week in a talent competition. This entry was posted in X Factor Australia and tagged Andrew Wishart, Christina Parie, Declan Sykes, Guy Sebastian, Johnny Ruffo, Mel B, Mitchell Callaway, Natalie Bassingthwaighte, Reece Mastin, Ronan Keating, Three Wishez, X Factor Australia, Young Men's Society. Bookmark the permalink.